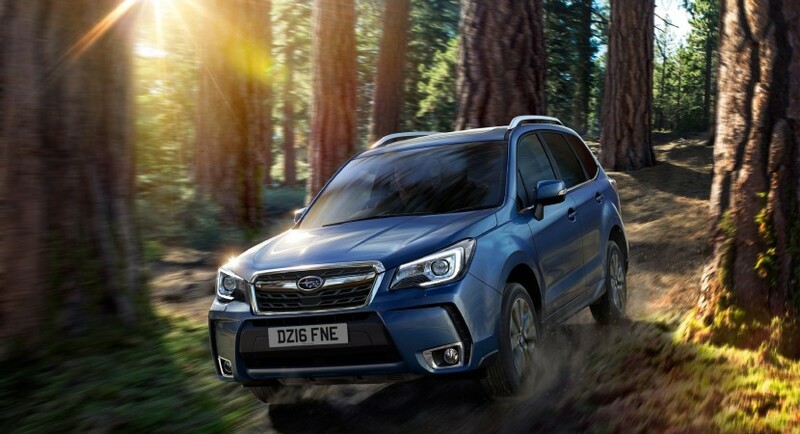 Subaru has recently released the full prices of the all-new Forester model in the United Kingdom, the cheapest version setting you back at £26,995. We are dealing here with an updated version of the current Subaru Forester which will go on sales starting next month, the model coming with an important list of updates. In terms of visuals, the 2016 Subaru Forester features a revised front grille with wing motif in the mesh, updated bumpers, black theme clusters, LED headlights with adaptive front lighting, new LED taillights and a few more. Inside, the cabin of the updated Subaru Forester tweaks new seals with window frames, which absorbs more sound, reducing the noise, thicker window glass for a more intimate feel, along with the usual high-tech gizmos. Under the hood, the carmaker has left the engines intact, the model packing the same 2.0-liter gasoline with 150 horsepower, as well as the 2.0-liter turbodiesel with 147 horsepower. All mills come with a six-speed manual as standard or the optional continuously variable transmission. The Forester XT topper packs the same 2.0-liter gasoline but develops 241 horsepower.